Home > Eating Disorder Types > What is Geophagy? Geophagy is an eating disorder in which an individual ingests earthy substances, such as chalk,soil, mud and clay. Geophagy is not a common disorder, so relatively few people understand it. To clarify some of the confusion, below are basic answers to a few frequently asked questions about geophagy. It is not known what causes geophagy, but research indicates that it may be related to mineral deficiencies. This means that the compulsion to eat soil substances, particularly clay, may well be a way of rectifying this deficiency. However, geophagy may also have a mental health basis and will need to be treated as such. Geophagy is generally diagnosed in children and pregnant women. For children, geophagy is only diagnosed when eating soil substances is developmentally inappropriate, and therefore geophagy is usually diagnosed only in children over the age of two. Most often geophagy is diagnosed in rural or pre-industrial societies, though it does exist across all races and social classes. Some studies have also investigated a link between geophagy and negative emotions such as homesickness and depression. In non-Western parts of the world geophagy is not subject to the same stigma that it is here in the UK. In the West, geophagy is often categorised as a type of pica, and therefore an eating disorder. In other areas of the world, however, geophagy is sometimes considered an adaptive behaviour because it is used to even out an individual’s diet. In this way, because it is used to add minerals to the diet or neutralise the harmful alkaloids found in some plants, it is not necessarily aberrant behaviour but a way of ensuring health. What are the Signs of Geophagy? 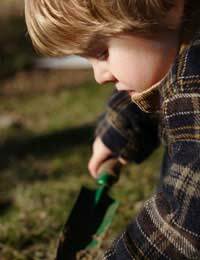 Cravings for soil substances and eating soil substances are the only two signs of geophagy. There are, however, some health risks associated with geophagy including intestinal blockage, intestinal perforation or tear, dental injury due to grinding sharp objects from the soil, poisoning and parasitic infections. Often, it is only when an individual is being treated for such an associated problem that geophagy is recognised and diagnosed. As a type of pica, geophagy is diagnosed in individuals who have routinely consumed soil substances for at least a month and for whom this behaviour is inappropriate to their developmental stage. But geophagy can only be diagnosed as a form of pica, and therefore an eating disorder, in those who do not consume soil substances as part of a recognised cultural or religious practice. If the practice of eating soil substances in recognised as a cultural or religions practice, it is considered an adaptive or traditional behaviour and not an eating disorder. Treatment for geophagy will only be recommended if geophagy is diagnosed as a form of pica and therefore an eating disorder. The type of treatment recommended for geophagy will depend upon the type of geophagy that is diagnosed. If geophagy stems from a nutritional deficiency, then this will usually be treated with supplements to rectify the deficiency and the behaviour should cease. If geophagy is diagnosed as a having a psychological basis, then an appropriate treatment plan for this condition will result. How Can I Obtain Further Information on Geophagy? Both medical and mental health professionals will be able to provide further information on geophagy. Contact a local GP or private mental health specialist to obtain more information on geophagy.